We all share a responsibility for energy efficiency wherever and whenever we can. What better way to begin than simply replacing the light bulbs in your own home? Using light-emitting diode bulbs is one small change we can all make to save electricity and save money at the same time. Light-emitting diodes, or LEDs, are small light sources illuminated by movement of electrons through a semiconductor material. They offer similar light quality to traditional incandescent bulbs, last 25 times as long, and use even less energy than compact fluorescent lights. In addition to standard screw-in bulbs, you’ll find LEDs in desk lamps, kitchen under-cabinet lighting, digital displays and even holiday light strings. LEDs are available in a variety of colors, and some are dimmable or offer convenient features such as daylight and motion sensors. 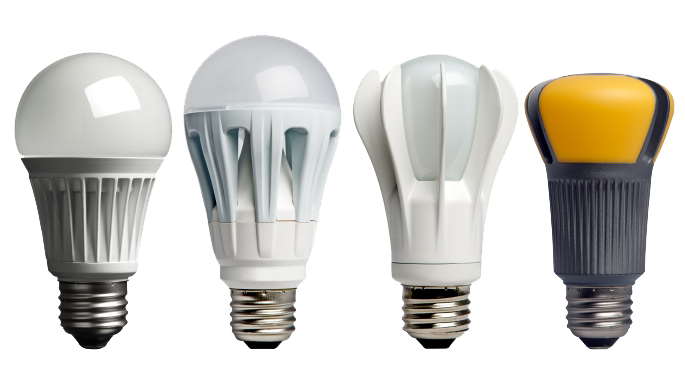 Considering the cost of LEDs, replacing every bulb in your home may not be practical. However, installing them in locations that are least accessible is a good idea. This will cut down on maintenance since they last longer than incandescents and CFLs. To see the most energy savings, install LEDs in your most heavily used fixtures as it is not cost effective to use these in rarely used closets or basements. Use only 20 percent to 25 percent of the energy for the same amount of light from an incandescent bulb. Save time, since LEDs have a life span of approximately 50,000 hours compared to the average 1,000 hours of an incandescent bulb. Lose less energy as heat; 80 percent of energy produced by LEDs is converted to light. Only 20 percent of energy from an incandescent is light energy.